One of the most lethal forms of cancer is pancreatic cancer. It often has a poor prognosis and after it’s been diagnosed, patients are often dead within a year. Pancreatic cancer creates problems largely because doctors have yet to come up with an early detection method. And like most diseases, the earlier it’s caught, the better your chance of survival. Unfortunately, by the time pancreatic cancer is noticed, it’s too late; once it’s discovered, there really isn’t much that can be done. Which is precisely why a new discovery might be so important to saving lives. Research teams at the Dana-Farber Cancer Institute and the Massachusetts Institute of Technology (MIT) believe they may have found an early indicator of pancreatic cancer. They believe this indicator might be able to predict a person’s likelihood to get the disease anywhere from two to 25 years in advance. The team looked at blood samples from 1,500 subjects being followed in large-scale health tracking studies, looking for 100 variations of metabolites (substances produced in the metabolic process). They compared the samples of people who went on to develop pancreatic cancer and those who didn’t. They noticed that people who ended up getting pancreatic cancer had a higher number of branched chain amino acids (BCAAs) in their blood than those who didn’t get the disease. BCAAs are part of the amino acid family, which are the building blocks of protein. This common trait prompted the researchers to believe the increase of BCAAs in the bloodstream was a direct result of a formation of a tumor in the pancreas. The theory was tested on mice, and it was proven that newly formed tumors caused an increase of BCAAs present in blood. The tumor breaks down muscle tissue, which leads to BCAAs being released into the bloodstream. And because this seems to happen almost immediately following the formation of the tumor, it could provide an early discovery method for pancreatic cancer. 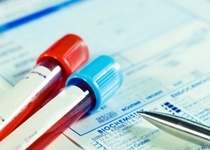 More work needs to be done, but it is possible this result could steer blood tests to look for high levels of BCAAs to determine if a person is at greater risk for pancreatic cancer. There isn’t really a known cause for pancreatic cancer at this point, so it’s hard to recommend a set of sure-fire ways to reduce risk. However, it is widely believed that smoking increases your risk, so quitting smoking is imperative. The American Cancer Society indicates that 20%–30% of pancreatic cancer cases are tied to smoking. Additionally, getting to, and maintaining, a healthy weight is also recommended. What’s also interesting about this finding is that it shows a pancreatic tumor actually alters the way your body absorbs and utilizes nutrients, and that muscle breakdown begins much earlier in the disease process than previously thought. These facts also provide insight into why the disease might seem to take over so rapidly once it is discovered. If the tumor interrupts nutrient absorption, it might accelerate damage. This research offers insight into one of the most common forms of pancreatic cancer and could provide life-saving changes to treatment practices. It’s definitely exciting and has the potential to save thousands of lives. Dana-Farber Cancer Institute, “Early Sign of Pancreatic Cancer Identified by Researchers,” ScienceDaily web site, September 28, 2014; http://www.sciencedaily.com/releases/2014/09/140928154734.htm. “Pancreatic Cancer,” American Cancer Society web site, June 11, 2014; http://www.cancer.org/cancer/pancreaticcancer/detailedguide/pancreatic-cancer-risk-factors.